Chrysler Building in New York designed by architect William Van Alen in Art Deco style. 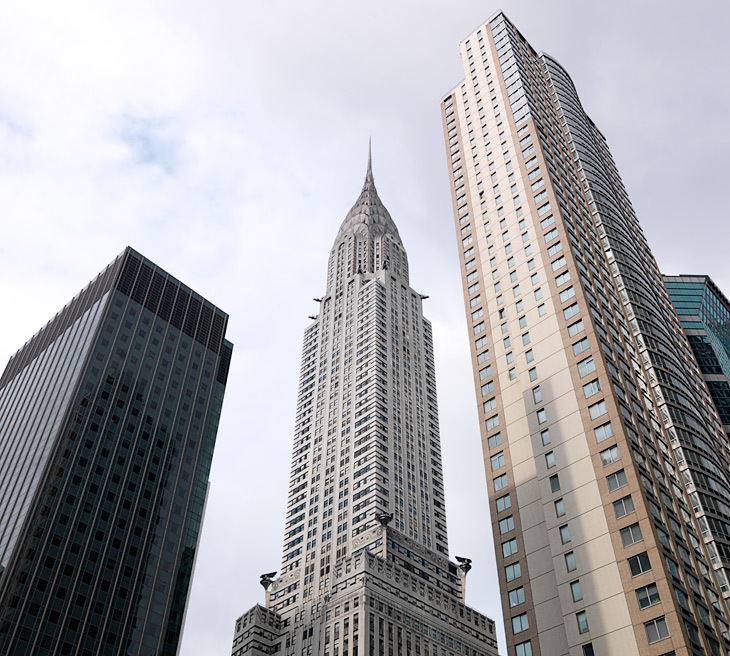 Upon its completion in 1930 the Chrysler Building with its 319 meter was the tallest building in the world. Photo: hansen-hansen.com, 2012. Empire States Building in New York designed by architect William F. Lamb in Art Deco style. 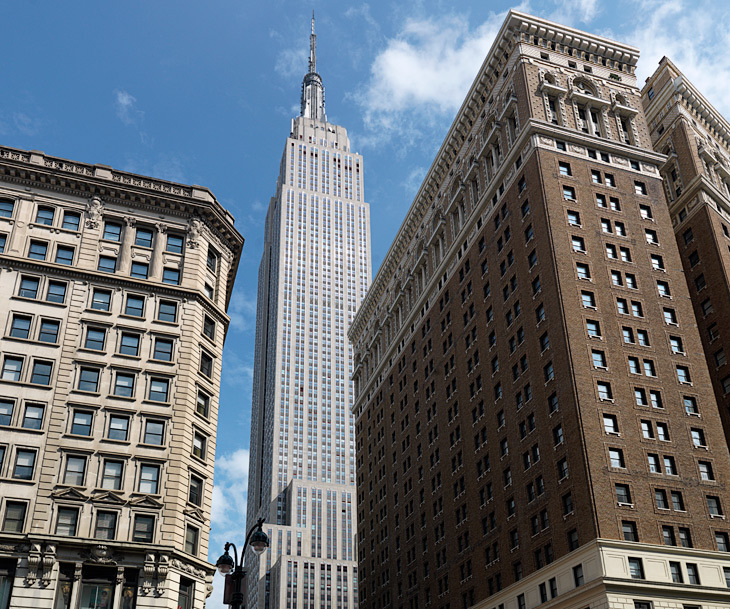 Completed in 1931 and standing 443,2 meters high the Empire States Building was the tallest building in the world for 40 years. Photo: hansen-hansen.com, 2012. 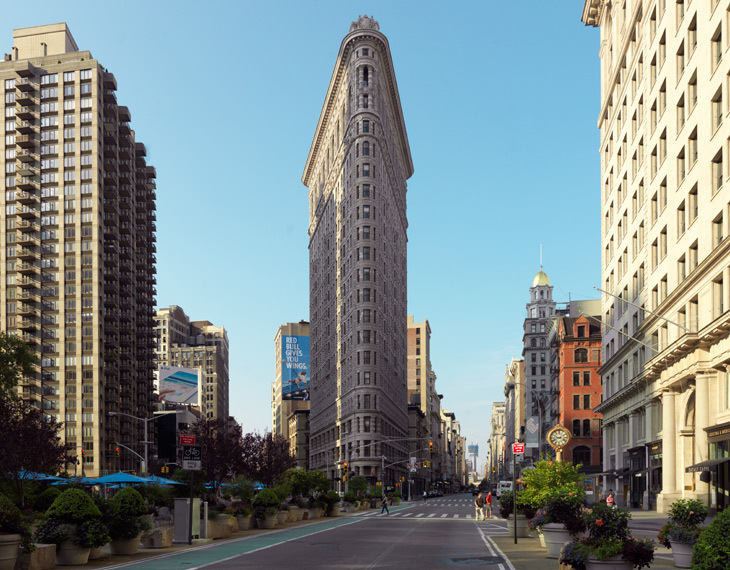 The Flatiron Building at 175 Fifth Avenue in New York designed as a Renaissance palazzo with Beaux-Arts styling by architect Daniel Burnham. It was one of the tallest building in New York upon its completion in 1902. Photo: hansen-hansen.com, 2012. The New York Stock Exchange aka NYSE at 11 Wall Street designed by architect George B. Post in a neoclassic style. 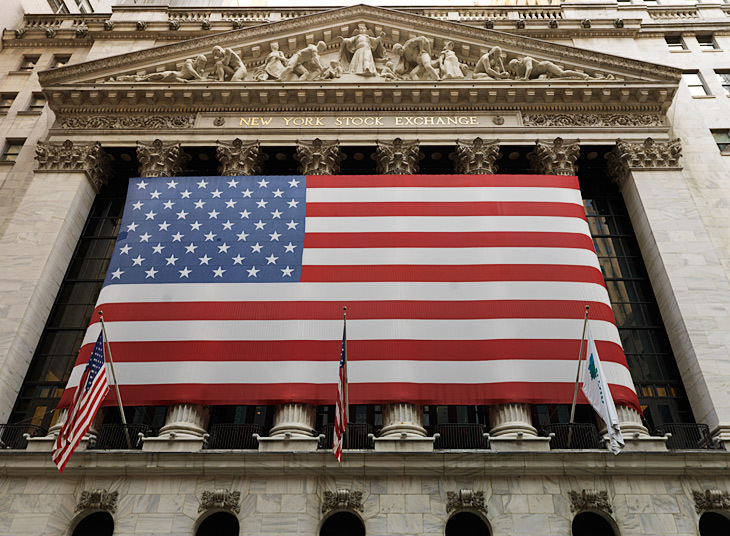 It opened in 1903 and today NYSE is still the world's largest stock exchange measured by the market capitalization of its listed companies. Photo: hansen-hansen.com, 2012. 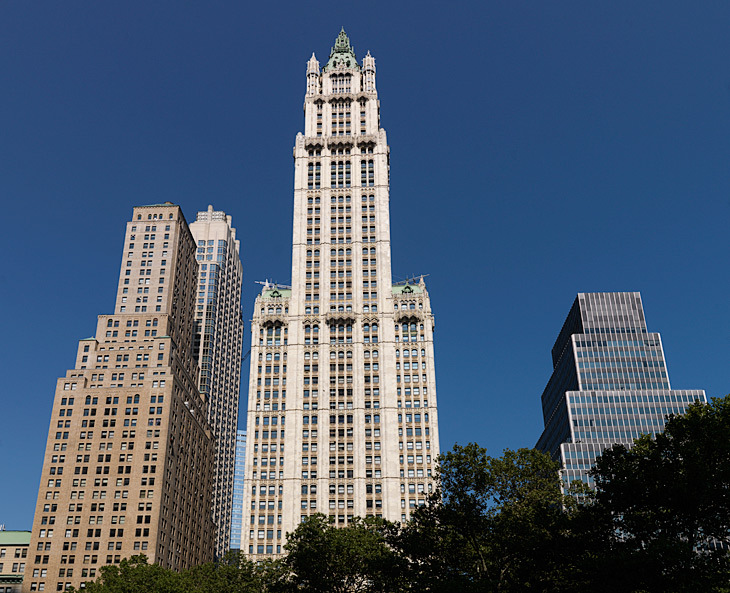 The Woolworth Building designed by architect Cass Gilbert in a neo-Gothic style. Upon its completion in 1913 it was the tallest building in the world standing 241 meters. It is one of the oldest skyscrapers in USA. Photo: hansen-hansen.com, 2012. 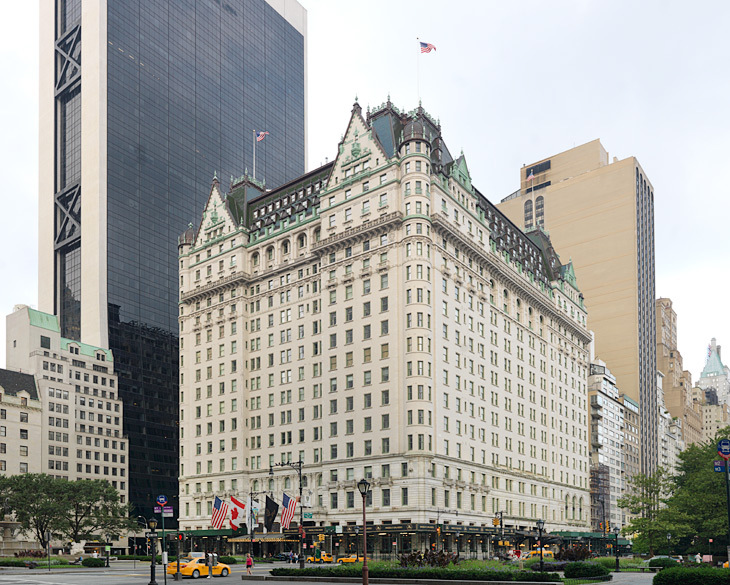 The Plaza Hotel in New York designed by architect Henry Janeway Hardenbergh in a French Renaissance château-style. The 20-story luxury hotel was opened to the public in 1907. When Donald Trump bought the hotel in 1988 he published an open letter in The New York Times stating: 'I haven't purchased a building, I have purchased a masterpiece — the Mona Lisa. For the first time in my life, I have knowingly made a deal that was not economic — for I can never justify the price I paid, no matter how successful the Plaza becomes'. Trump lost hundreds of millions $ on the Plaza Hotel when he sold it 7 years later. Photo: hansen-hansen.com, 2012. 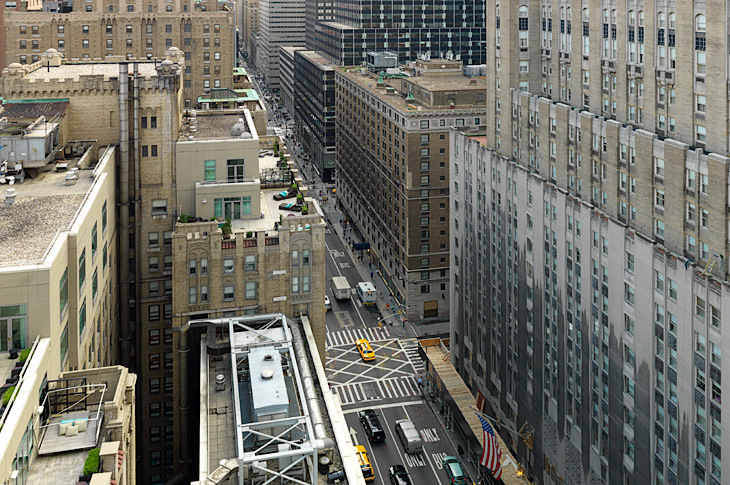 View south Lexington Avenue with the Waldorf-Astoria Hotel in the right side of the picture. The Waldorf-Astoria was designed by architects Schultze and Weaver in Art Deco style and completed in 1931. Standing 190,5 meters it was the world's tallest hotel for 20 years. Photo: hansen-hansen.com, 2012. The Helmsley Building aka the New York Central Building in the front and the MetLife Building at the back. The Helmsley Building was designed by architects Warren & Wetmore in the Beaux-Arts style and completed in 1929. It was part of the Grand Central Terminal complex. 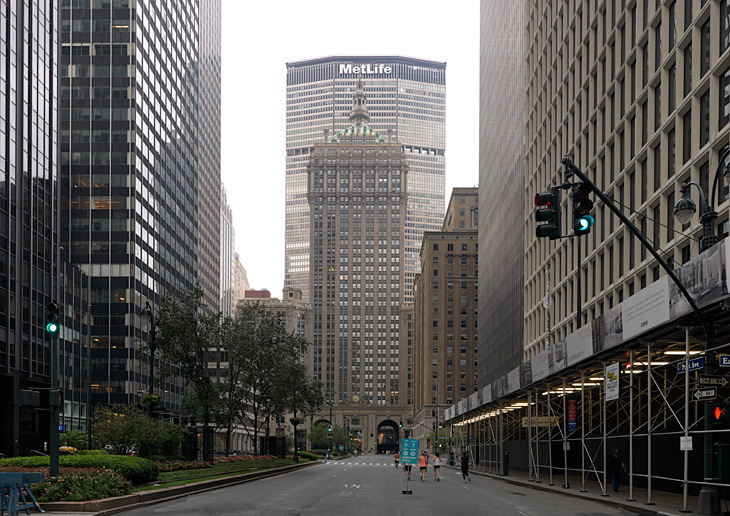 The MetLife Building, originally called the Pan Am Building, was designed by Emery Roth & Sons, Pietro Belluschi and Walter Gropius in the International style. When in opened in 1963 as corporate headquarter for Pan American World Airlines it was the largest commercial office space in the world. Photo: hansen-hansen.com, 2012. The Grand Central Terminal in New York was designed by the two architectural firms Reed & Stem and Warren & Wetmore in the Beaux-Arts style. The train station was opened in 1913. Photo: hansen-hansen.com, 2012. 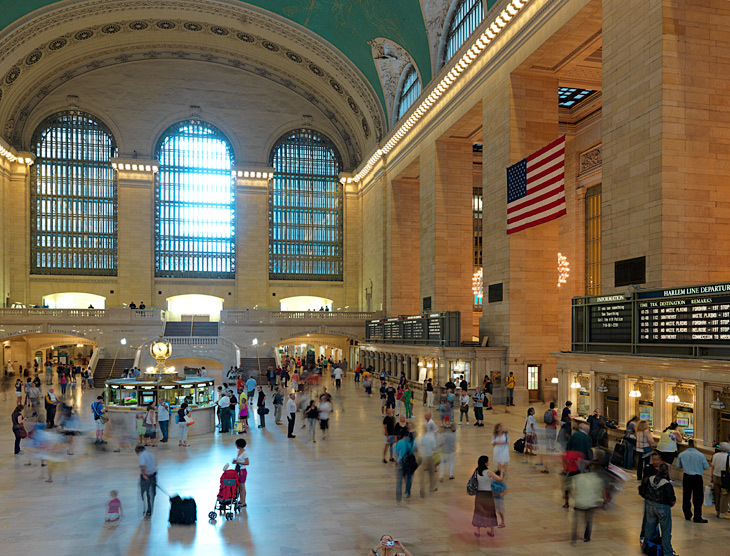 The Main Concourse of the Grand Central Terminal in New York. 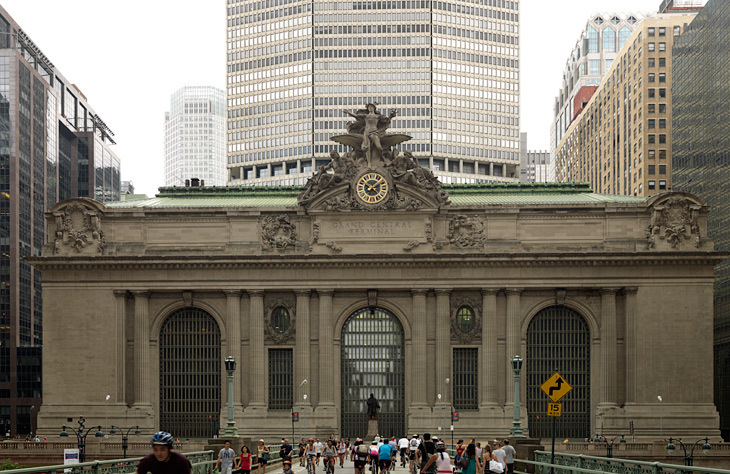 The historic rail gateway to New York City is the largest train station in the world by number of platforms. Photo: hansen-hansen.com, 2012. 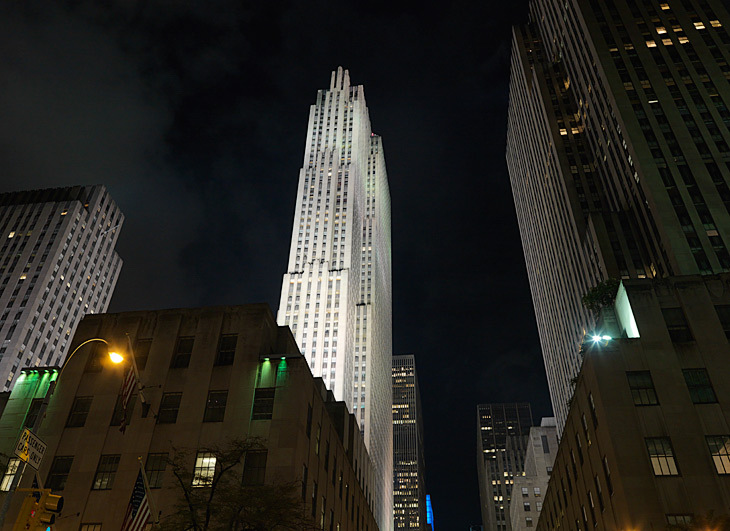 The GE Building at 30 Rockefeller Plaza is the centerpiece of the Rockefeller Center. It was designed by the architect Raymond Hood in the Art Deco style. The 70-story building was known as the RCA Building until 1988 and it stands 259 meters tall. Photo: hansen-hansen.com, 2012. 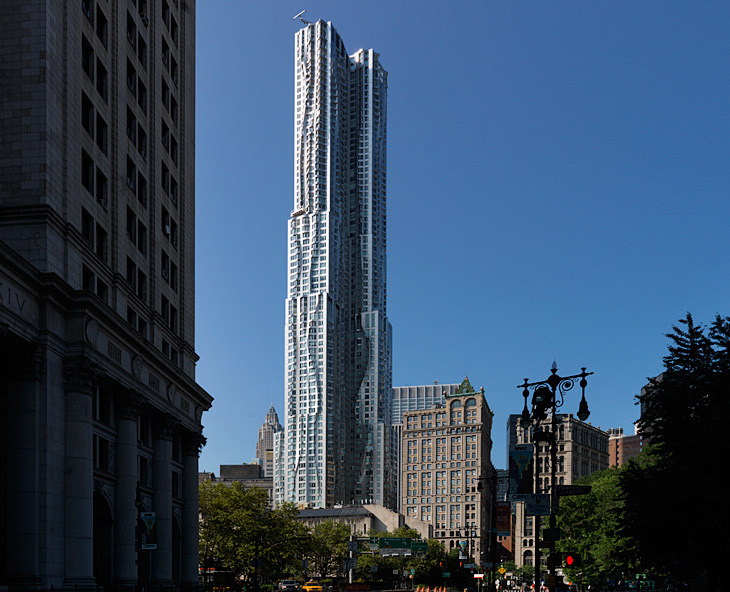 New York By Gehry aka 8 Spruce Street designed by architect Frank Gehry. The 76-story skyscraper standing 265 meters tall was opened in February 2011. Photo: hansen-hansen.com, 2012.